Changing the forecast location can be done in a couple of ways. You can either search for the location you're looking for, or manipulate the map to the right place (or a bit of both). 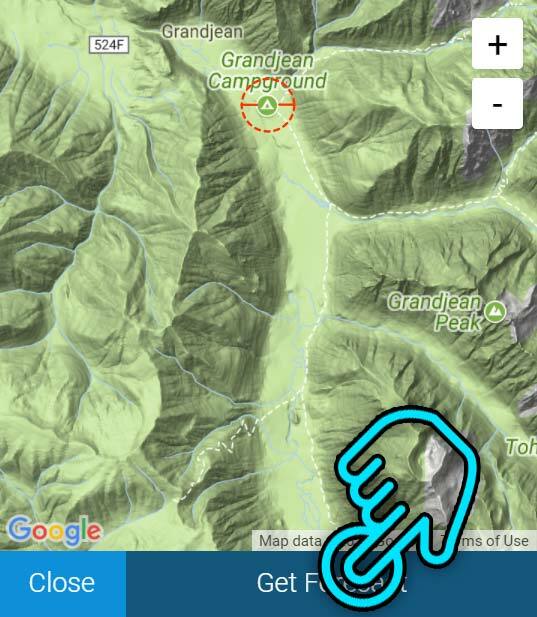 To search, look for the search icon at the top of the app, or on the full screen map. Tapping it will bring up the search interface. 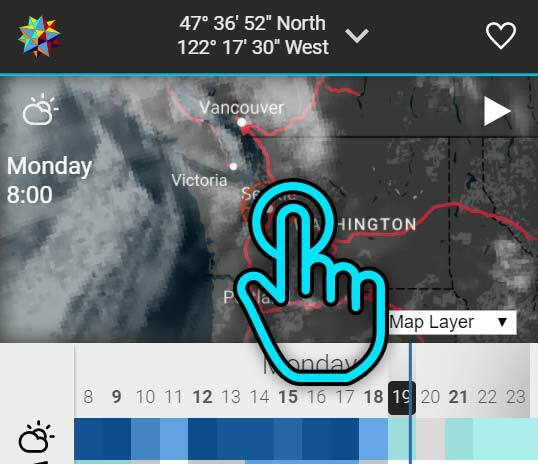 You can also manually set the forecast location. You can now add this location to your favorites and even set it as the default.